. كما يقدم Maple Lodge Luxury Bed And Breakfast الكثير من الخدمات لإغناء رحلتك في واناكا. يقدم الفندق فرصة للاستمتاع بشريحة واسعة من الخدمات بما فيها: واي فاي مجاني في جميع الغرف, خدمة التنظيف يوميًا, مدفأة, خدمة حجز التذاكر, مجهز لذوي الإحتياجات الخاصة . ادخل إلى واحدة من الغرف 7 وتخلص من عناء نهار طويل بمساعدة مجموعة كبيرة من الخدمات كمثل تلفزيون بشاشة مسطحة, اتصال لاسلكي بالإنترنت, اتصال لاسلكي بشبكة الإنترنت (مجاني), غرف لغير المدخنين, مكيف هواء الموجودة في بعض الغرف. يقدم الفندق العديد من الفرص للاستجمام كمثل حوض استحمام ساخن, حمام ينبوع ساخن, مسار جولف - ضمن 3 كم, سبا, حديقة. إن كنت تتطلع إلى إقامة مريحة وهادئة في واناكا، فستجد في Maple Lodge Luxury Bed And Breakfast بيتك الثاني. العمر الأدنى المطلوب للتمكن من الإقامة في هذا العقار هو 5 سنة/سنوات. Just simply amazing . Can not fault it!! Was truly magical. As it was a last minute booking with few choices left we were thoroughly surprised driving into Maple Lodge. It is both charming and welcoming and soothes you as you drive in. It is a great place to unwind. Thanks, Charlotte! We enjoyed our short stay. We were treated so well, from afternoon tea with fresh baking, to relaxing in the spa at night, then sitting in front of the big fireplace. Paul and Bernie are so friendly and make you feel relaxed and well looked after. We will be back. 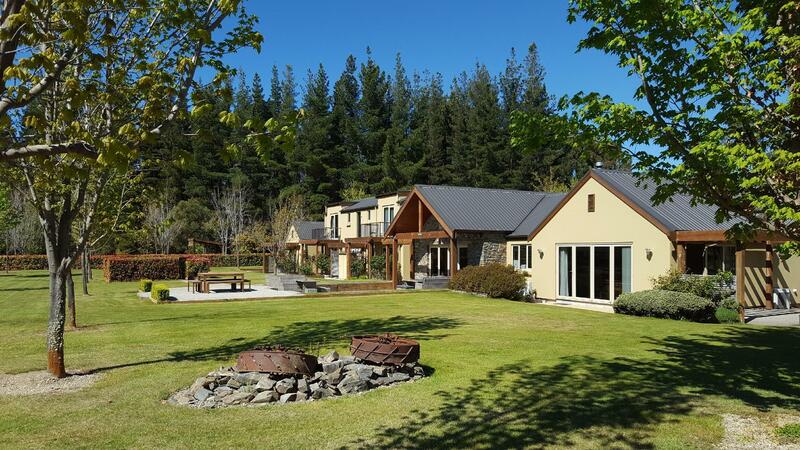 This was the first time I have stayed at Maple Lodge, and trust me, I will be staying there next time I am in Wanaka! The owners/operators were lovely people and their attention to detail was outstanding! We were in Wanaka for the Warbirds Over Wanaka airshow, and this is just a few KM down the road from the airport! MUST RETURN! Amazing breakfast , such a quiet area, great hosts. We enjoyed our stay and would go back and stay whenever we go to Wanaka. Loved the place. Very friendly, very nice breakfast especially the home made pancake. Worth the money to stay, will be back if come to wanaka again.